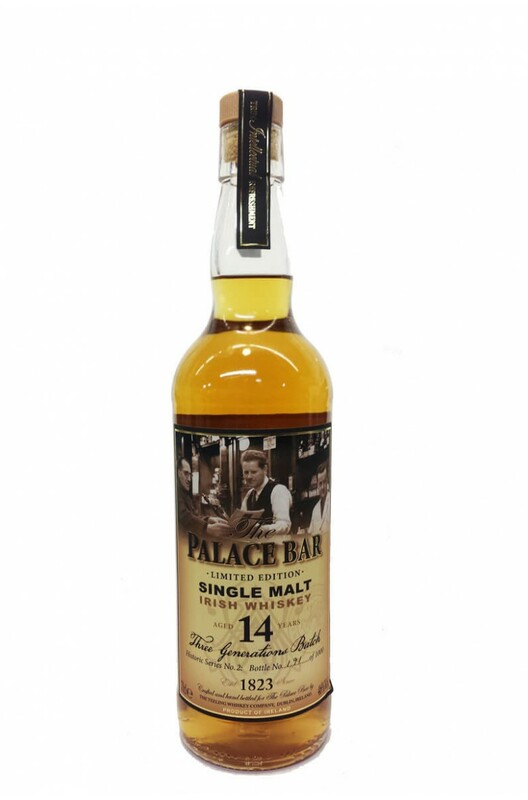 Batch two of Palace Bar whiskey comes to us via the Teeling Whiskey Company. This time it is a 14 year old single malt, but we are told that there is a range of malts, all over 14 year old but some up to 21 years old. Like all great whiskeys this is un-chilfiltered and bottled at 46%. The Palace Bar is a Dublin institution and we urge any visitor to Dublin to pop in for a whiskey. It is one of the city's great old Victorian pubs and has a great selection of Irish whiskey. Any Additional Information of Note Non chilfiltered and bottled at 46%. Limited to just 1000 bottles. The Palace Bar is a famous Victorian era bar on the corner of Dublin's Fleet Street. Up until th.. This is a superb single malt that is actually older than the stated 12 years and has been entirely&n..